And I must say you are at the right place because we have collated a list of tried and tested Stellar Lumens wallets after using them ourselves. Let me clarify you; Stellar Lumens is not a fork of Ripple however this notion is prevalent out to be found. Of course, Ripple and Stellar are created by the same founder, but there is a significant philosophical and technical difference between the two if you put them under the microscope. Ripple is a cryptocurrency developed for pure payment purpose for banks whereas Lumens has a much broader perspective. 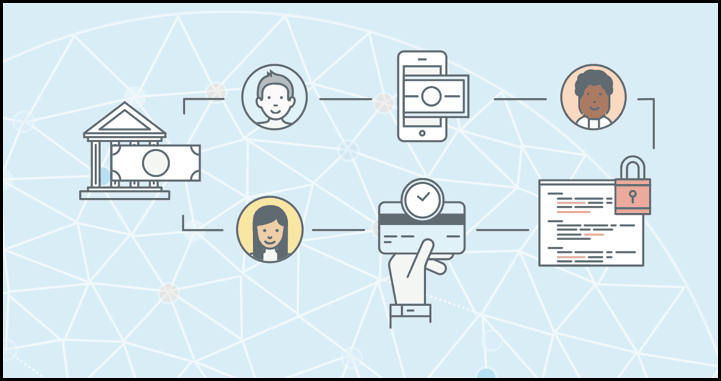 Stellar is a platform that connects banks, payments systems, and people to move money quickly, reliably for fractions of a penny. And since the last year, it has positioned itself in the top ten cryptocurrencies by marketcap, which means it is quite valuable. Can’t stress it enough, Ledger Nano S is a must-have in your kitty if you are into cryptocurrencies. That’s because Ledger Nano S provides security and storage option for so many cryptocurrencies (700+ coins and tokens) including Stellar. This is also known as Stellar Ledger wallet. It is a non-custodial HD wallet where you always remain in control of your cryptocurrencies because you hold their private keys/seed. It is a flash drive like device that keeps your private keys of Bitcoin, Ethereum, Stellar Lumens on a hardware device. Having said that it means each transaction that you do from your Ledger Nano S needs to be authorized manually by pressing a button on your Ledger device. That’s why in my opinion there is no better security available for your funds. Plus you get their PIN code lock feature which wipes the device if you put a wrong PIN code thrice. So in a case, where you have lost your device and have sufficiently strong PIN code then an attacker won’t be able to take your funds. In case of theft or device lost, you can always restore your funds in another wallet with your seed, which is extremely important to be safeguarded. Lobstr is one of the most intuitive and the best wallet for your Stellar Lumens. Using Lobstr, you can send/receive/manage Lumens efficiently, and its UI is pretty clean on both, the web as well as the mobile app. 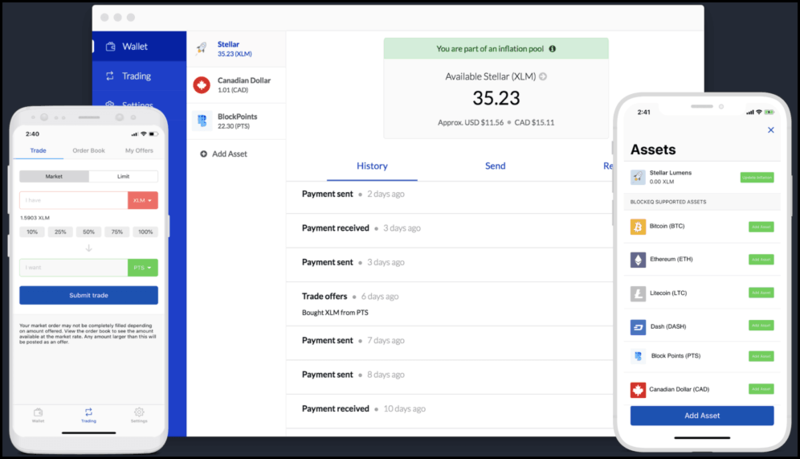 This user-friendly free wallet also has XLM price ticker, and email notification feature which makes is a smart wallet to be used for XLM. Lastly, this is not a custodial wallet where you need not give-up control of your Lumens, so don’t worry as you remain in control always with Lobstr. Stargazer is another decent wallet for storing your Stellar Lumens. You have the option to create multiple accounts, multiple assets, federated addresses using this free Stargazer wallet. You can also create/receive multi-sig/multi-party and send signing requests using this wallet. And believe me, this so much you can do with a wallet, and the developers are even eyeing to raise the bar for what this wallet can do. Lastly, you get recovery mnemonics using which you can always restore your funds and stay in control of your Stellar Lumens. Currently, Stargazer is available for Android, Windows, Mac, and Linux platforms. Atomic Stellar wallet is a desktop wallet to safeguard your XLM. If you are looking for something very secure and intuitive for your desktop to store Stellar Lumens, Atomic wallet has got your back. Here you also get an HD wallet for which you hold the seed and hence can remain in total control of your funds. The Atomic wallet is a multi-currency wallet that supports Stellar Lumens, so be careful about sending or receiving your Lumens on wrong addresses. With Atomic wallet, you also get the in-built exchange in the form of ShapeShift and Changelly to exchange your XLM into other cryptocurrencies, which a handy feature to have in your wallet. 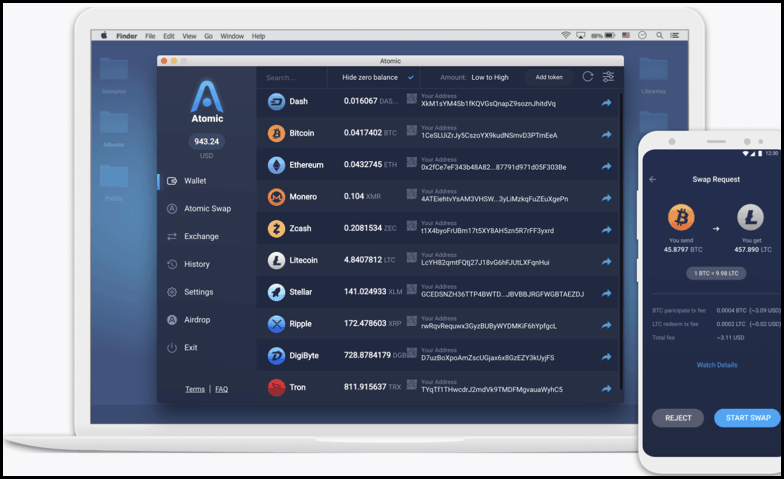 Lastly, Atomic wallet is available for all major operating systems such as Windows, Mac, Ubuntu, Debian, and Fedora, etc. but Android/iOS wallets are still under development. So what are you waiting for? Just get started with the new Atomic wallet. Are you looking for an even more reliable web or mobile wallet for Lumens? Well, we have got your covered with Blockchain wallet. Blockchain wallet is operating in this space since 2012 and is a go-to Bitcoin wallet for millions. But the good news is, now it supports Stellar Lumens also. It is a multi-currency wallet for both web and mobile, supporting Bitcoin (BTC), Ethereum (ETH), Bitcoin Cash (BCH) and Stellar (XLM) with its wallet interface in 18 languages. Lastly, you have the option of biometrics for enhanced security with standard seed feature which you need to safeguard carefully for unexpected times. 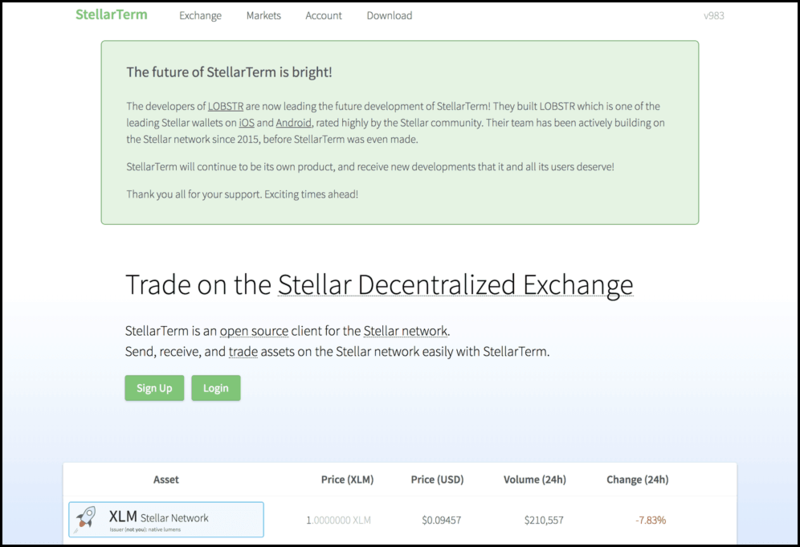 StellarTerm is basically a decentralized exchange built over the Stellar network, and that’s why it can be used as a wallet also. StellarTerm is a web-based trading client, but it has its StellarTerm desktop client also available for Mac, Windows, and Linux users. StellarTerm is being developed by Lobstr team only, which has already developed a dedicated, intuitive mobile wallet for Stellar. So having said that you can store your Lumens here and not only remain in control of it because it can also be used by users of any skill level to trade on the Stellar network. BlockEQ is another immaculate wallet to store your Stellar Lumens. With this BlockEQ you can send, receive, store and even trade XLM on Stellar’s decentralized exchange which is an excellent option to have. You can also store Stellar tokens in BlockEQ wallet and control your private keys with a 12-24 word recovery phrase that you get at the start. For enhanced security, you get features such as QR code address display and PIN code. Lastly, you get this beautiful and intuitive wallet available on iOS, Android, Mac and Windows platform which is good news for Stellar holders. Conclusion: Which One Is the Best Stellar (XLM) Wallets? Well, when you have got so many options, it is natural to get confused but let me tell you these are top notch Stellar Lumens wallets that we have used ourselves. But if you still want recommendations, Ledger Nano S, Lobstr and BlockEQ are the best according to me. The reason is, having these three wallets allows you to do pretty much everything, such as storing, receiving, sending and trading XLM and Stellar tokens. Lastly, I would vouch for Ledger Nano S for investors who are serious and holding or planning to hold several cryptocurrencies because Ledger is simply the best in the business of providing security with ease of use. So that’s all from our side in this recommended list of XLM wallets, and we hope this helps you in choosing the right wallet for yourself.